Time: 10:30 a.m. or 6:00 p.m.
Join us on the 1st Monday of each month at 10:30am or 6:00pm for our BERNINA Creative Studio: Sewing Club and Technique Lesson. You do not have to be a Bernina owner to participate. 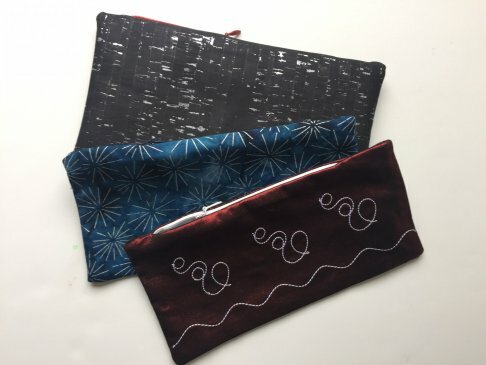 There will be 2 videos each month; a project lesson video that will focus on quick and easy projects and a technique lesson video which will vary each month between the features of a presser foot, free-motion quilting lessons and overlocker lessons spread out over the year. Come join the fun - don't forget your USB! These fast and fun placemats are made with Soft and Stable by Annie and 2.5" wide strips of fabric. 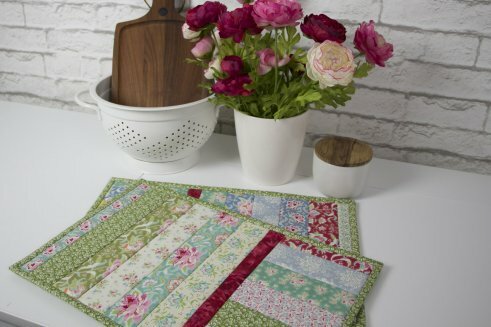 The ever popular flit and sew method will make fast work of these placemats. You will want to make a set for every season or occasion. Learn you easy it is to add an invisible zipper to any project. Using the Invisible Zipper Foot #35 and a straight stitch, we will create a small bag, showing you how to quickly add that professional look of an invisible zipper!